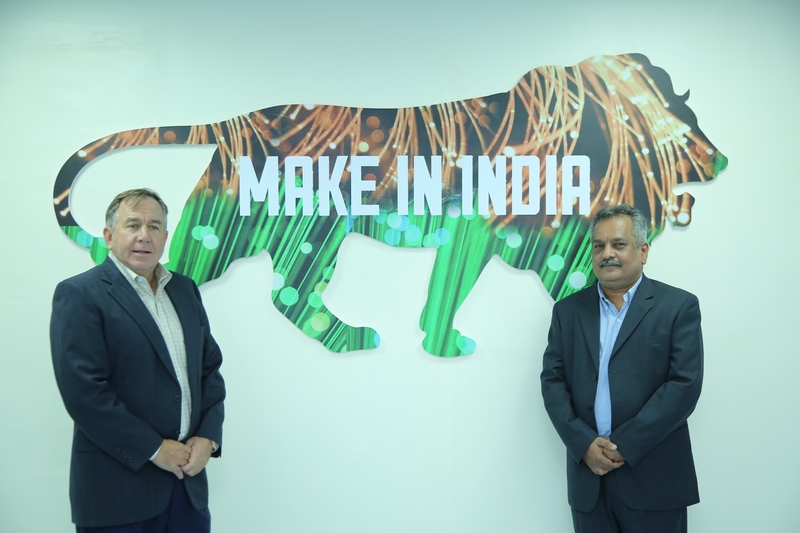 AFL, a leading manufacturer of Fiber Optic cable, equipment and accessories, has expanded its global footprint by entering the Indian market. AFL has partnered with Citadel Intelligent Systems Pvt. Ltd. (CIS), a Bangalore-based start-up, to manufacture optic fiber solutions for India and rest of the world. Speaking about the business expansion and partnership, Jody Gallagher, President and Chief Executive Officer, AFL said, “India has evolved as digitally advanced market. The rising demand for high-speed broadband, increased investment in information technology and telecommunications, accelerated by government led ‘Make in India’, ‘Smart Cities’ and ‘Digital India’ initiatives, are scaling up exponential growth for the optical fiber solutions in the country. Globally, AFL has led the way with innovative products that deliver cutting edge solutions for its customers. We believe that our partnership with CIS will open new avenues for us, help in tapping new customer segments and remain competitive in the business”. Spearheaded by the industry veteran, KK Shetty, CIS will provide the manufacturing excellence, sales and marketing support to AFL, while it will receive knowledge engineering, product, application and engineering support by AFL. As part of the alliance, CIS has developed a state-of- the-art manufacturing facility in Bangalore. Aimed at delivering customer – centric innovative solutions, the facility comprises world-class manufacturing equipments, backed by highly skilled and experienced workforce. The AFL- CIS strategic partnership will bring many robust fiber distribution and cable management solutions to India, such as the latest fiber cable designs that address the growing innovation required to manage significant high fiber count applications within data centers. The partnership is primarily expected to provide customized fiber optic solutions for hyperscale & data center markets and harsh environments. The Bangalore facility is located at Doddanekundi Industrial Area, Hoodi and sprawled over 20,000 sq. ft. Currently, it has a total workforce of 50 employees and the AFL-CIS partnership plans to increase it to 100 by March 2018.